Common near large bodies of water at lower elevations in King, Kitsap, and Island Counties, including urban areas. 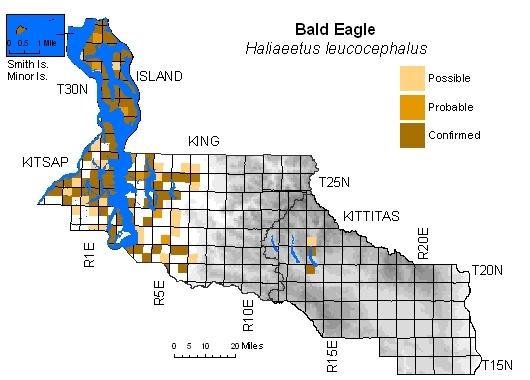 Nests in vicinity of coastlines and major rivers, with highest densities in Island County. Rare in Kittitas County with two "confirmed" records at Cle Elum Lake. 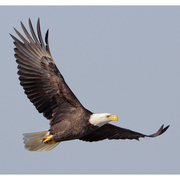 Increasing summer reports along Columbia River beyond close of atlas period may point to future breeding, although scarcity of large, live trees preferred for nesting may limit choice.